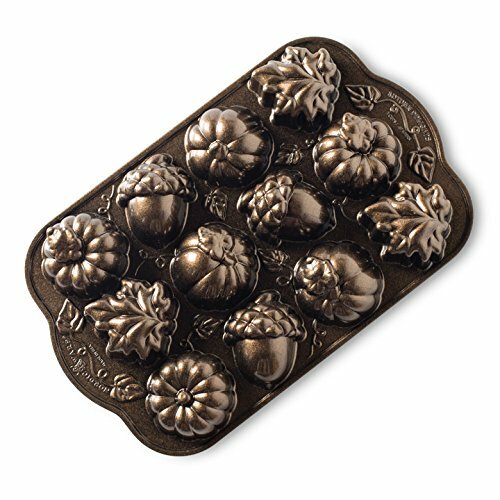 Add whimsy to your harvest gatherings with these darling acorn, pinecone, walnut and pumpkin cakelets. Bakes 24 at once. Your guests will eat'um up!